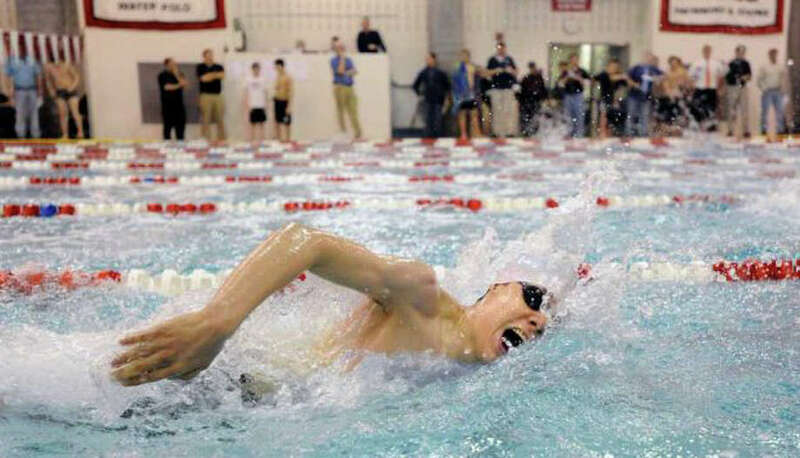 Fairfield co-op swimming's senior captain Derek Chu will be one of the team's top swimmers in 2011-12. The Fairfield co-op boys swim team believes in itself this year. The team is coming off one of its best years, and only had two graduated. However, just as it begins to develop a program, it must prepare for more adversity. Fairfield's co-op status will no longer exist in two seasons and the squad must prepare for that. "As exciting as it is to be growing as a team, we all realize the split will take a toll," Fairfield coach Victor Mirrer said. Therefore, Fairfield has four captains, two from each school. Derek Chu and William Galle will serve as the leaders from Ludlowe. Even Katz and David Moorin will be Warde's captains. The club has a lot of talented returners, and depth on the roster. Fairfield has three divers-- but will be led by senior Katie Craig. On the swimming side, Fairfield has more than 40 team members and will be led juniors Nikita Noskov, Adrian Tudor and William Perret. Kade Ramirez, Ryan Vitale and Corbinian Wanner will be sophomore standouts and freshmen Tommy Gannon and Zach Gannon will be expected to contribute. Mirrer understands the rigors of competing in the FCIAC--one of the toughest, deepest leagues in the state. Therefore, his goals are modest. "We want to repeat our successes from last year in our dual meet season and improve our placement in the postseason," he said. But competing against schools like Greenwich, New Canaan, Darien and Wilton allows his club to face the best. "The competition is great," Mirrer said. "And the opportunity for my swimmers to be challenged is second to none."